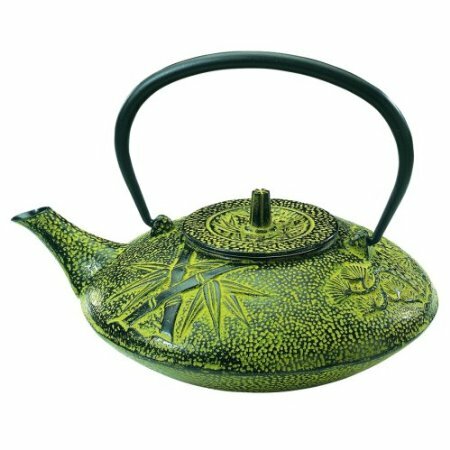 This teapot has a great bamboo and pine design that goes well with textured cast iron exterior. The inside is lined with black enamel to keep it from rusting and comes with a stainless-steel infuser as well. The pot can be bought in a variety of colors.